Damon Albarn and Adele have been making headlines since a recording session between the two British musicians went awry, but Albarn insists that his comments have been taken out of context and blown out of proportion into a false feud. "It's not even true," he told Time Out. "It's amazing how people will run with stuff that has no credence whatsoever and turn it into something and then watch the reaction." Back in September, Albarn called Adele's studio work with Danger Mouse "very middle of the road," and revealed that he had been in the studio with the singer. "Adele asked me to work with her and I took the time out for her," Albarn told the Sun newspaper, admitting that his skills as a producer were limited and that she probably wouldn't use any of the stuff they worked on together. "The thing is, she's very insecure," he continued. "And she doesn't need to be, she's still so young." Adele fired back in a Rolling Stone interview, calling it a "don't meet your idol moment" and confirming that none of the sessions with Albarn were used on 25. "He said I was insecure, when I'm the least-insecure person I know," she said. "I was asking his opinion about my fears, about coming back with a child involved — because he has a child — and then he calls me insecure?" Now, Albarn has spoken out about the online reaction he received, saying it was "pathetic" that the feud got him trending on Twitter. "People were not kind," he said. "It was... enlightening." 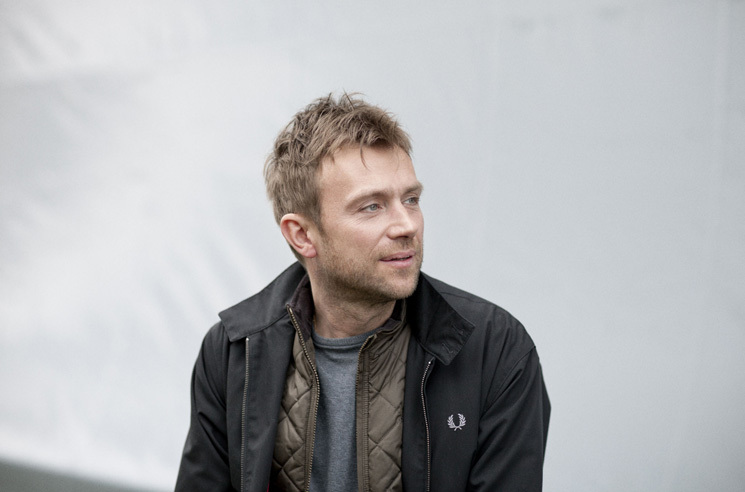 In spite of the negative attention, the Blur frontman affirmed his priorities. "I'm used to it," he said. "Listen, I'm here because I love writing music and it's a privilege." Adele's Albarn-free 25 is out now and selling at record speeds.